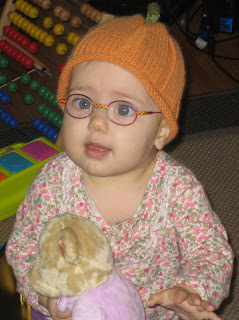 So when Zoe got glasses at a year old, it’s no surprise that I went looking for books for her about getting glasses. Turns out there are lots of books about getting glasses, but they almost all happen to older children. They almost all happen at schools, and often involve silly scenes of kids not being able to see well, so they go to the wrong bathroom, or read the wrong words on the board. Many have stories about another kid teasing them for wearing glasses. Now, some of those books are great, but they aren't great for a one year old, and probably not even for a three year old. What I wanted was a book that talks about glasses and how they help her see, one that also shows kids in glasses just being kids, so she'd see other kids that looked like her. I kept hoping that someone would write that book. 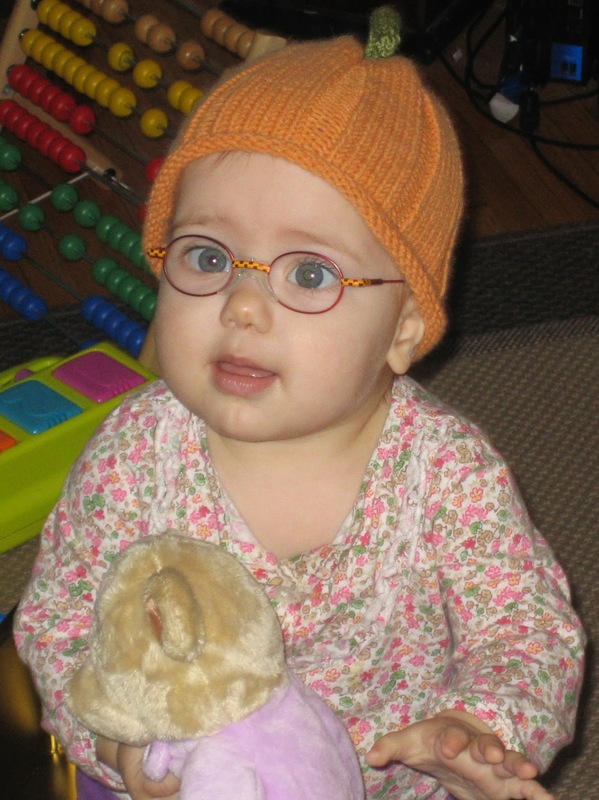 We found other ways to help Zoe adjust to her glasses, and I started LittleFourEyes.com, as a way to connect with other parents and help them find the information they needed. I put together a photo gallery, mostly to show the parents how glasses don't hide or detract from their children's beauty (something I hear from a lot of parents who are worried about their child getting glasses). So I was surprised the first time I heard that the kids loved looking at the pictures, too. I kept hearing these stories, that parents would sit down and look at the gallery together with their child whenever their child was feeling bad about wearing their glasses, and seeing these great pictures of other kids in glasses would help the kids feel better about wearing their glasses. And that’s where the idea for this book comes from. This is the book that I really wish existed when Zoe first got her glasses. It's a board book, so it will stand up better to the wear and tear from young toddlers and babies. It will feature photos of young kids in glasses and have a rhyming text (my ode to glasses). I’ve decided to start a Glasses Board Book Kickstarter to raise the funds to produce the book. It will help pay for the photo shoots and an initial print run of the book. I still really believe in the power of books to help kids (and adults!) for all sorts of reasons and all sorts of occasions. And I think there need to be books for really young kids in glasses. Vision is so very important, and treating vision problems early is vital to a child's visual development and their pre-literacy skills. I want to do what I can to encourage those kids to have the best vision possible. I hope you will consider helping by backing the Kickstarter.